Drastically REDUCED! 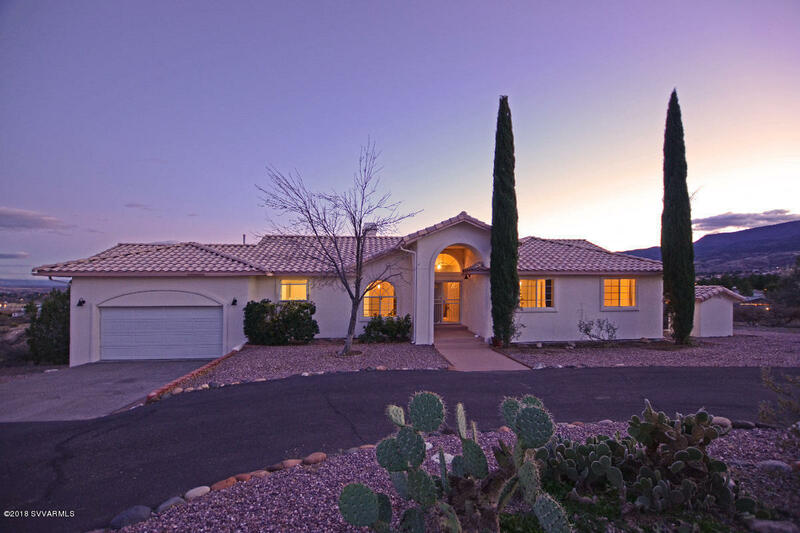 Remodeled Spanish beauty on 1 1/3 landscaped acres, offers top of the world views of Sedona and Mingus Mt & expansive, covered, new Trex composite decks to enjoy them. It's truly remarkable inside and out. Features include: multi-side, see-through gas fireplace, new ceramic wood floors, new bedroom carpet, remodeled Kitchen & Bathrooms with gorgeous, granite counter-tops, new sinks, new walk-in wood tile shower & new commodes. Freshly painted inside & out. New hardware on all cabinets & doors, new garbage disposal, new hot water heater & new ceiling fans. Gorgeous master suite w Vaulted ceilings & French doors leading to huge, covered deck. Fenced Garden area. Large garage w plenty of storage. Private well & septic. Quiet & secluded home, yet near shopping & dining.